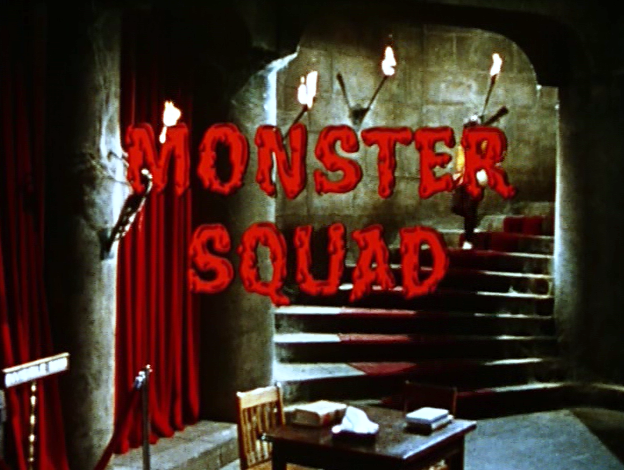 Monster Squad (1976 - 1977) -- not to be confused with the late 1980s movie, The Monster Squad (1987) -- is a one-season Saturday morning series developed by Stanley Ralph Ross, one of the key writers of the Adam West Batman (1966 – 1969) series. Like Batman, Monster Squad’s style is high-camp, meaning that all the heroes face their various crises with melodramatic solemnity, a solemnity that plays to adults as funny but kids as serious. 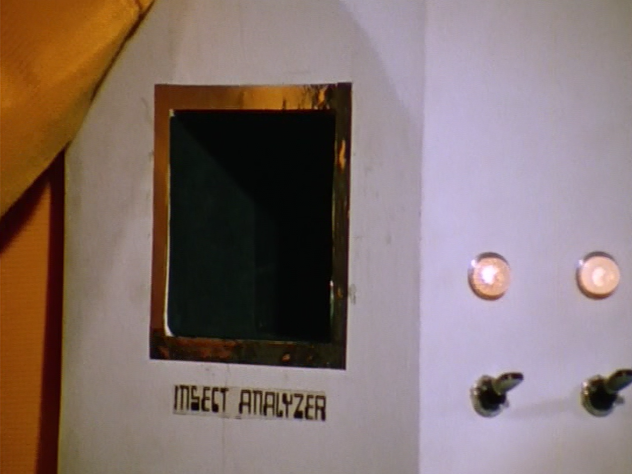 Briefly stated, the premise of Monster Squad is that a young and hopelessly earnest criminologist, Walter (Fred Grandy) has developed a fantastically advanced crime computer at the Chamber of Horrors exhibit in the basement of Fred’s Wax Museum. This large-scale computer can rise out of a sarcophagus platform when in operation, and features a “secret government” channel and radio transmitter. 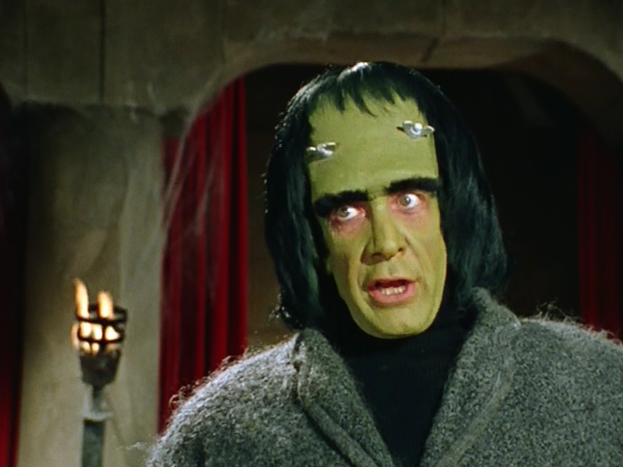 One day however, the “oscillating vibrations” of Walter’s crime computer awaken three of the museum’s figures, Dracula (Henry Polic II), the Frankenstein Monster (Michael Lane) and The Wolfman (Buck Kartalian). These figures are apparently the real deal, resurrected, and not merely wax representations of them. However, it is never explained why the wax museum was housing the bodies of such dangerous monsters. Regardless of their precise nature, these three “monsters” from history wish to atone for their sins by solving crimes with Walter, and thereby making reparations to society. 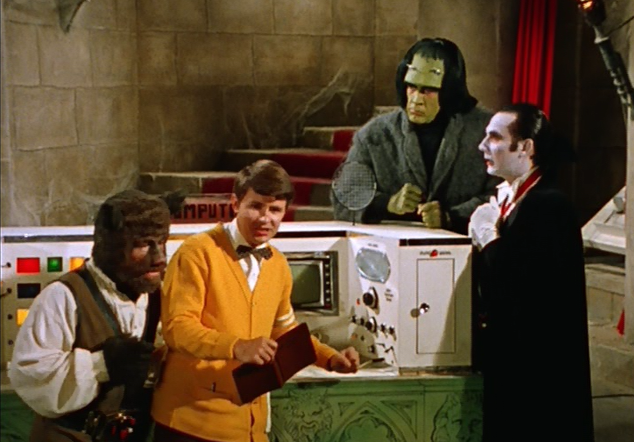 With Walt operating out of the Chamber of Horrors, Dracula, The Wolfman and The Frankenstein Monster are thus frequently dispatched -- in a black 1970s van -- to combat evil-doers around the city. 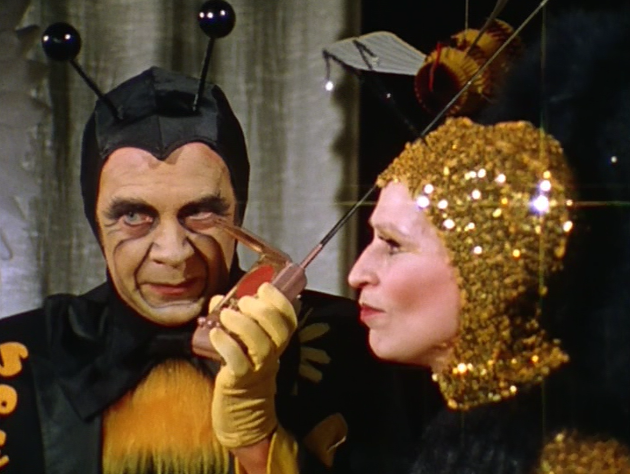 The first episode of Monster Squad, “Queen Bee” -- which aired on NBC the morning of September 11, 1976 -- stars Alice Ghostley as the insect matriarch, the aforementioned Queen Bee. As the episode commences, she has ordered her bee minions around the world to attack unsuspecting humans. This “unexplained rash of bee stings” is noticed by Walt, who captures a bee and attempts to interrogate it with the Crime Computer. After a time, Walt frees the bee, and Dracula tracks it in bat-form to Queen Bee’s headquarters. There, he and his monster must stop the Queen Bee’s plans before the United Nations can surrender the world to her. 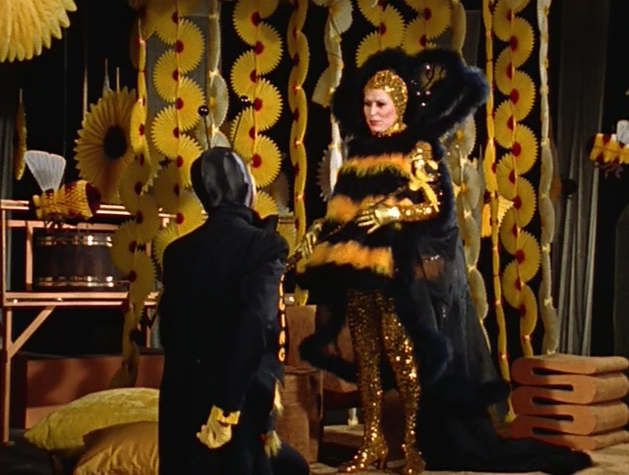 In terms of “Queen Bee,” the Monster Squad episode reports about the South American killer bee briefly, but otherwise conjures up little in terms of fact. Instead, the installment features about a hundred bad “bee” puns for Ghostley and her buzzing minions. “I bee-seech you,” says one character. “Bee-ware your fate,” says another. As you can probably guess, this witless approach grows tiring after a while, though it anticipates the approach to Mr. Freeze in Batman and Robin (1997). 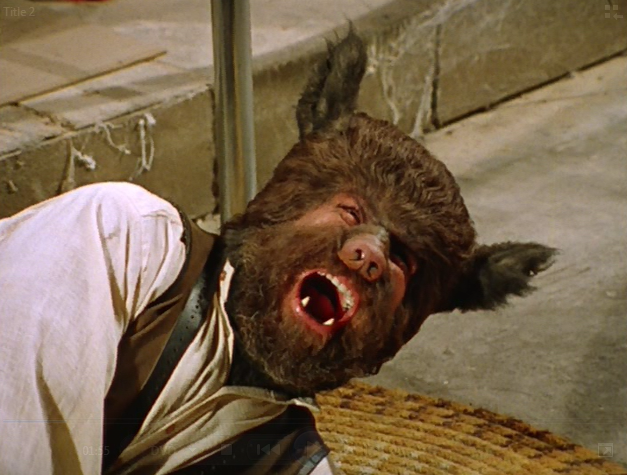 The episode -- like all Monster Squad episodes -- plays as particularly arched, and not overly amusing. Everyone is in on the joke, but the joke isn’t as amusing as it is on Batman, and this Saturday morning series also lacks the resources, and hence production values of that camp classic. 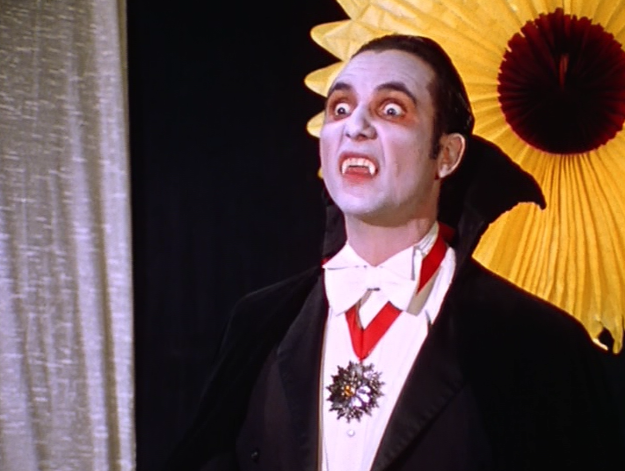 For instance, here Dracula is put in a vat of honey, and the vat is a tiny little barrel. Although Monster Squad doesn’t hold up particularly well-today, I remember that I absolutely loved it as a seven year old, and that I wished and hoped for action figures, playsets and other toys featuring these lovable and familiar monsters. There was, as memory services, a board game available at one time. As a boy in '76, I do remember watching Monster Squad. The next season Fred Grandy would be cast on the long running LOVE BOAT abc prime time series. I also wonder if the late '80s MONSTER SQUAD movie was a reboot of this series. This is my Monster Squad! http://www.boardgamegeek.com/boardgame/11956/the-monster-squad-game The Monster Squad Game, 1977, Milton Bradley.